Welcome to my new series called "Spotlight on Stickers." This will be just the push I need to make me use my stash. I still really like stickers and I'm not ashamed to admit that. Judging by the comments I've received...you do too! By the way, thanks for all the great comments about my layout with stickers I posted earlier this week. Anytime I make a layout, I really like to use what's left on my desk to whip up a card. 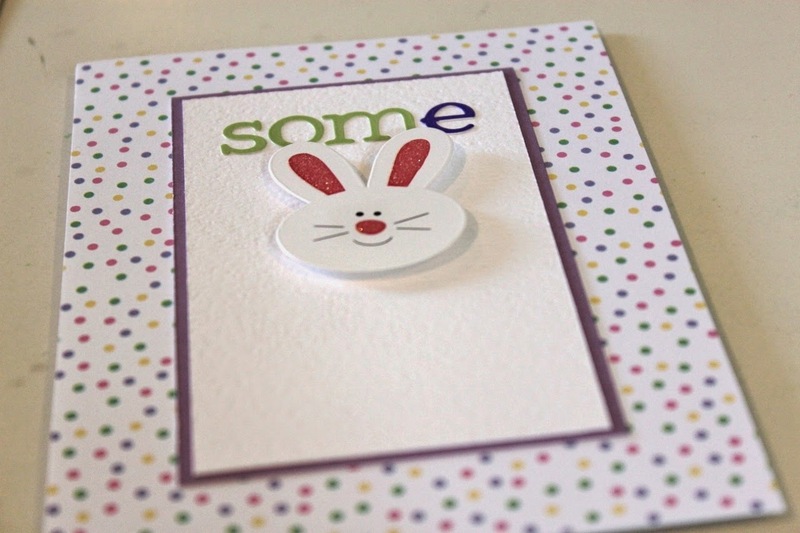 Since I'm giving my daughter a basket full of goodies this Easter Sunday, I thought a card to go with it would be cute. I had already cut a strip off the dot paper so I didn't mind cutting into it a bit more. I found a white card base and looked over the sticker sheet to think about what the card could say. 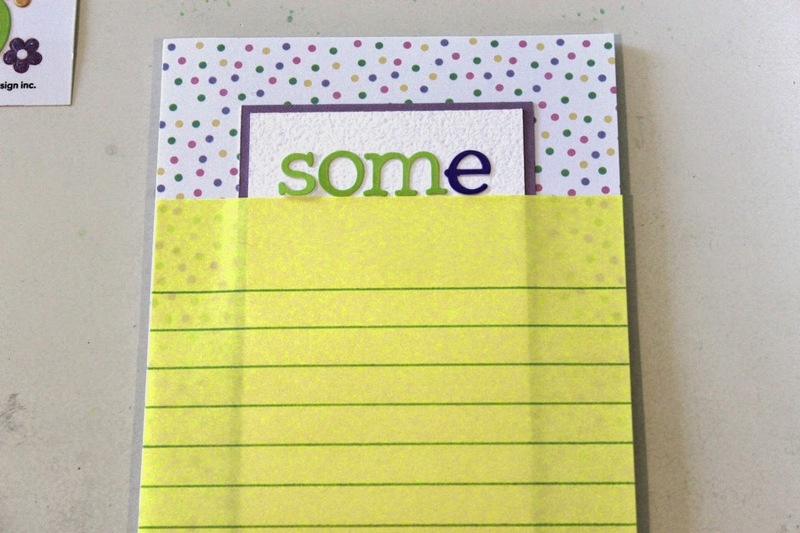 I'm not a fan of cards that "say nothing" either on the front or the inside. I see that a lot. I want mine to really make sense. 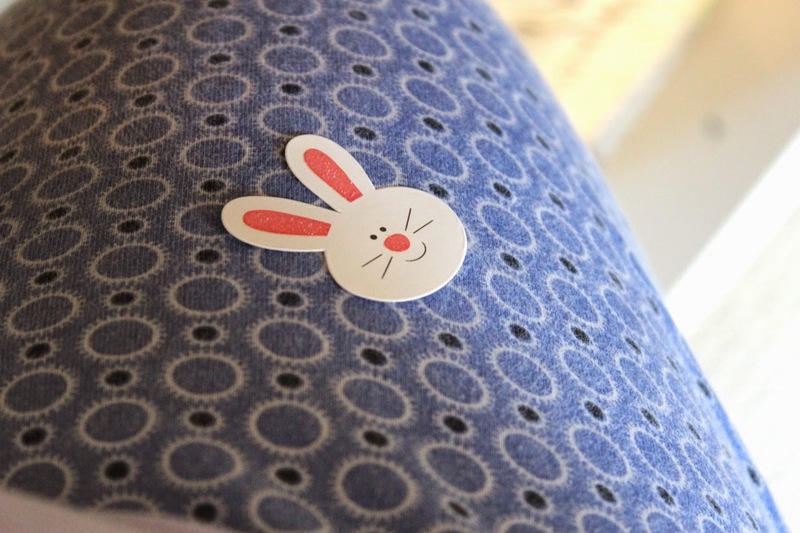 I decided to use the other bunny sticker and make it say "some bunny loves you." I started by measuring the card base....it's 4" wide by 5.5" tall. I knew that but I checked to make sure. 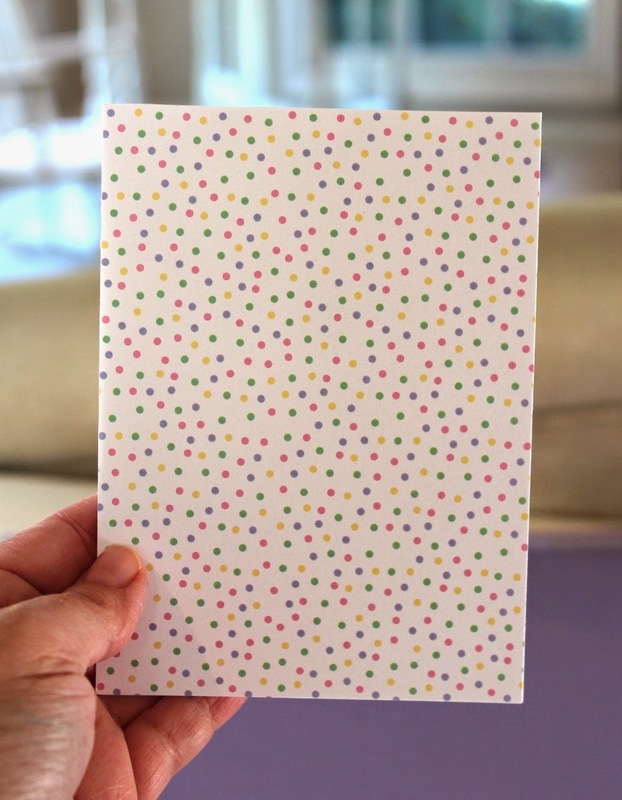 I think that dot paper is very old Pebbles but it matches the Doodlebug stickers well. 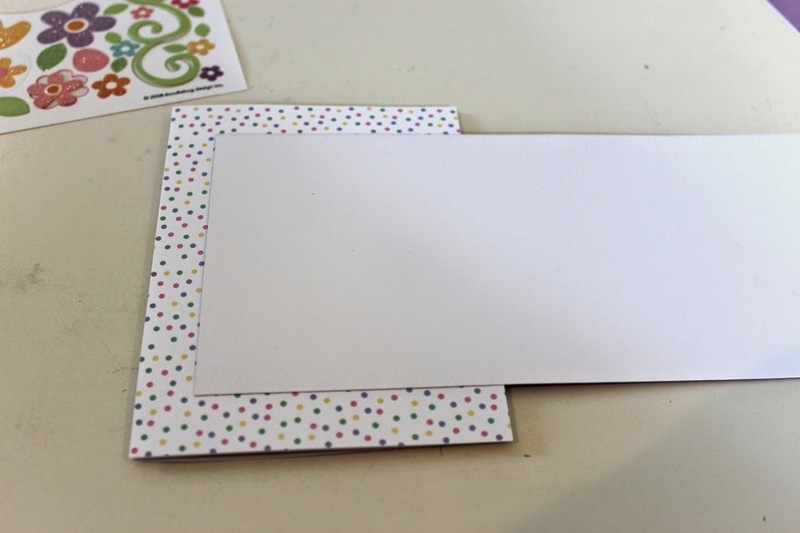 When I make a card - I like to just pull it together quickly so I looked around at what was already cut on my desk from the layout. I chuckled because I then realized it was actually a piece of purple paper turned over. So I turned it to the right side and laid it down to eyeball where I might cut it and make a pencil mark. I wanted the dot to really show so I made the purple small. Plus, the less space I have to fill up, the easier it is! I didn't think my stickers would show up great against purple so I looked around my desk for some left-over white cardstock. I found a piece, cut it to the right width and laid it on to make a tick mark for the height. 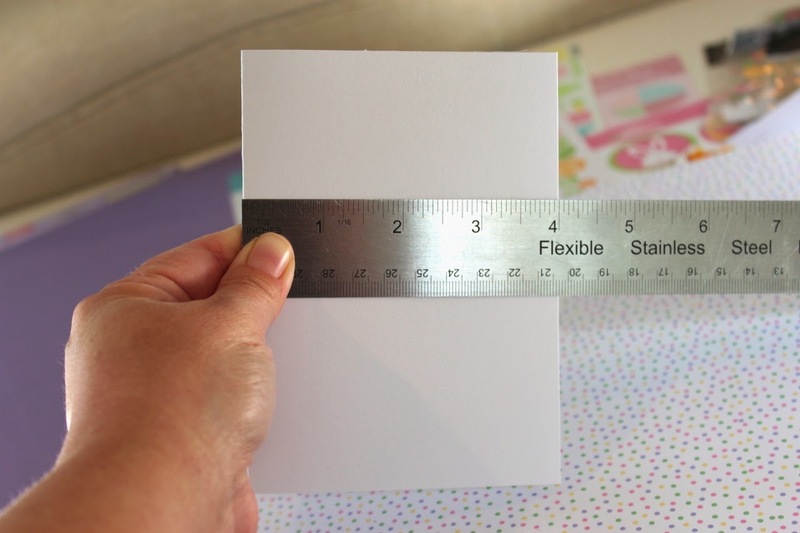 I rarely measure when making cards. I make tick marks. To make my sentiment, I needed letter stickers. Thankfully I have a huge bin waiting to be used! I started laying the letter stickers down using my new technique - a post it note for perfect placement! 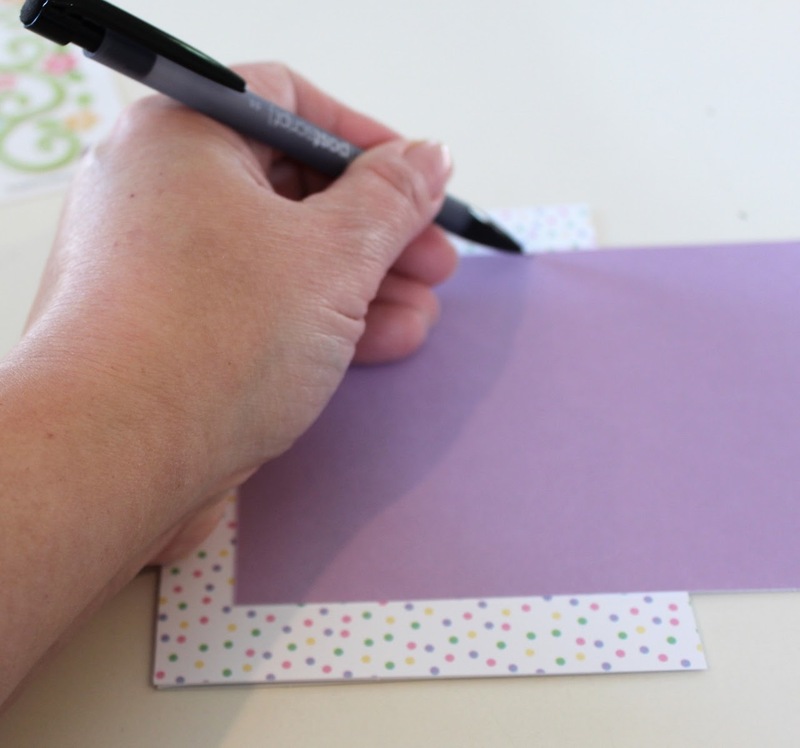 As you can see, I'm using a large post-it and I line the left side up with the left side of the card to give myself a completely straight line. 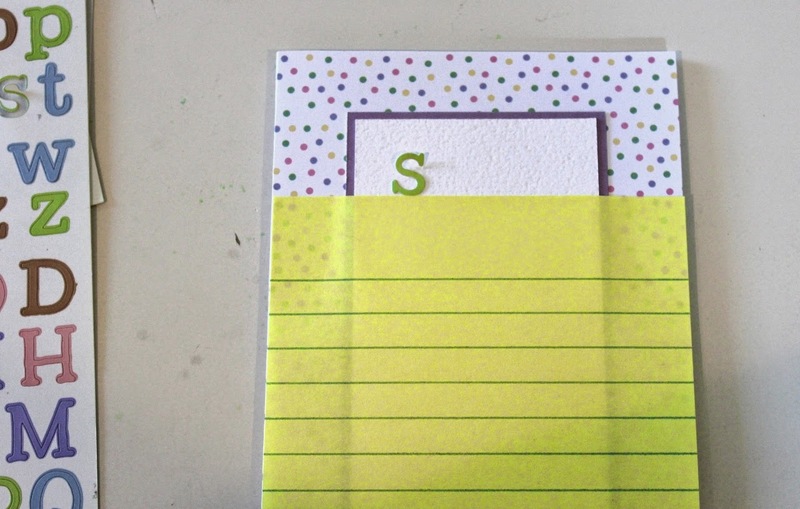 Then I smooth the sticky part of the post it down very firmly so I have a little edge to rest the letter stickers on. 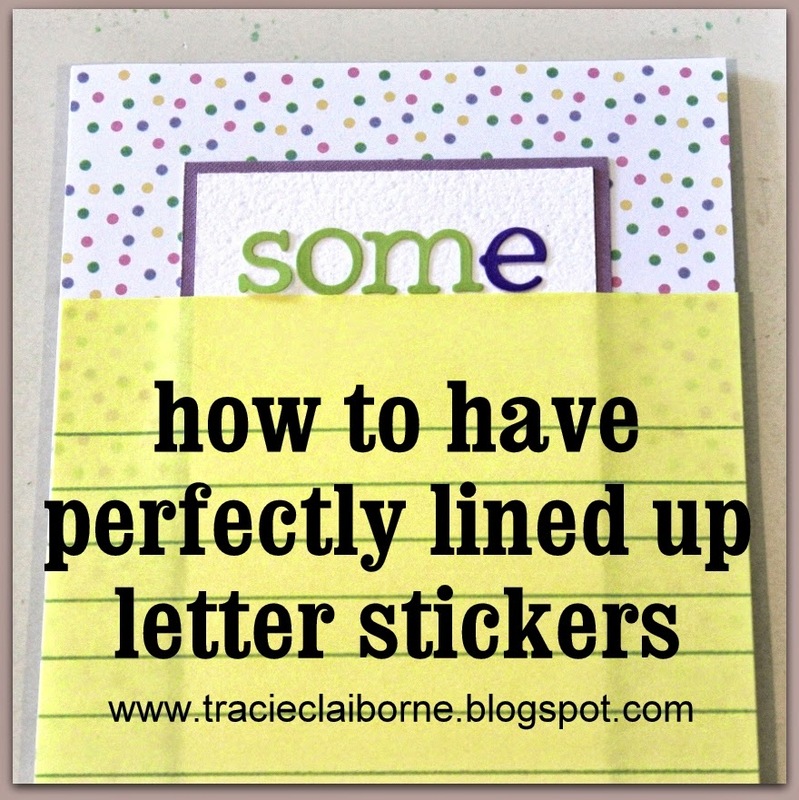 Once I have them perfectly placed, I pull the post-it up and laying the non-sticky part on top, I rub over the stickers to make them stay. 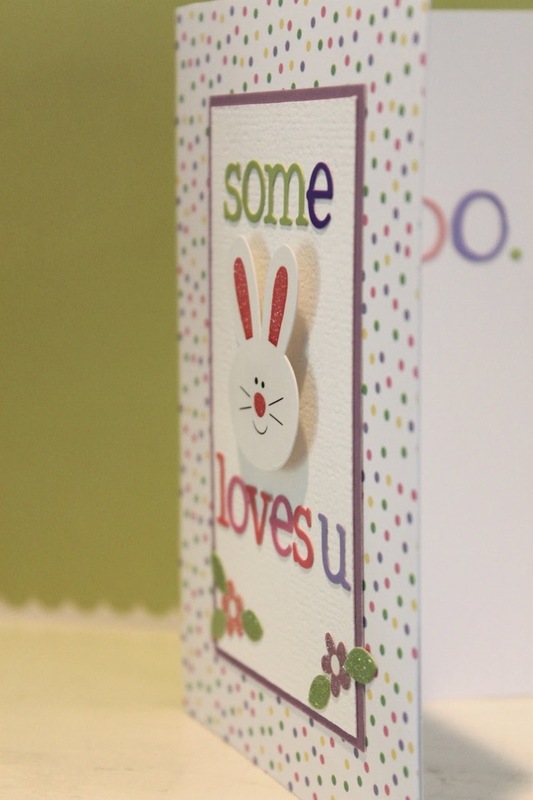 I really wanted the bunny to pop off the card so I added two thick foam pop-dots on the back. But first, I made it less tacky by rubbing it on my pajama pants to add a thin layer of fuzz. I love how much it pops with those two pieces of foam! 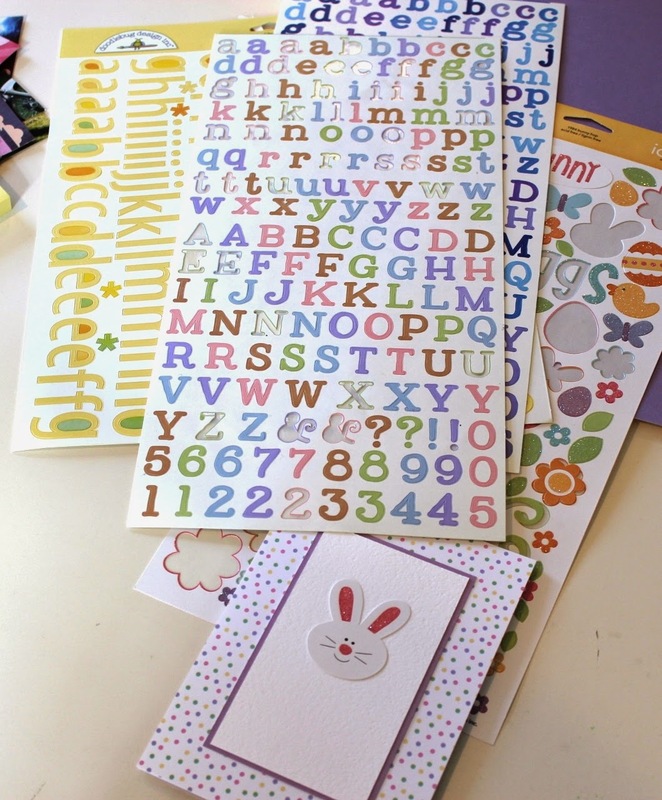 I ran out of pink and purple letter stickers so I looked for another sheet of Doodlebug and voila! Good thing I hoarded these for years. and inside it completes the phrase, "some bunny loves you...."
I think it will make my girlie smile. 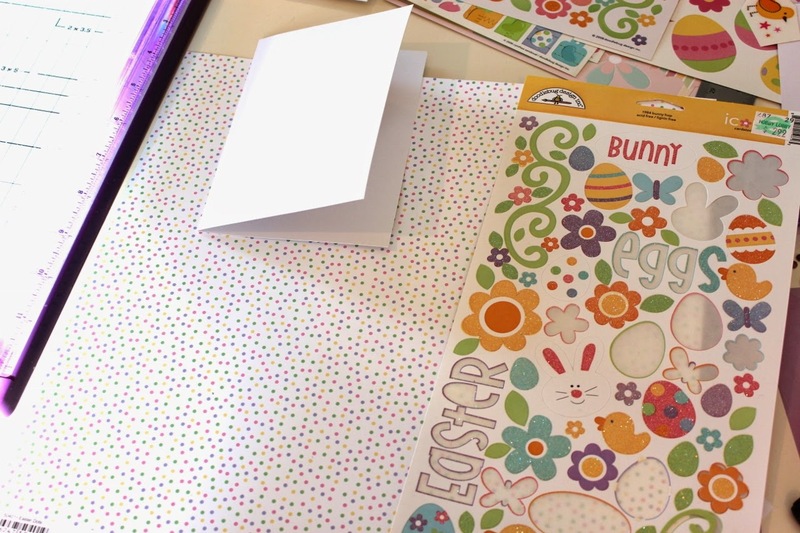 Have you made any Easter cards? 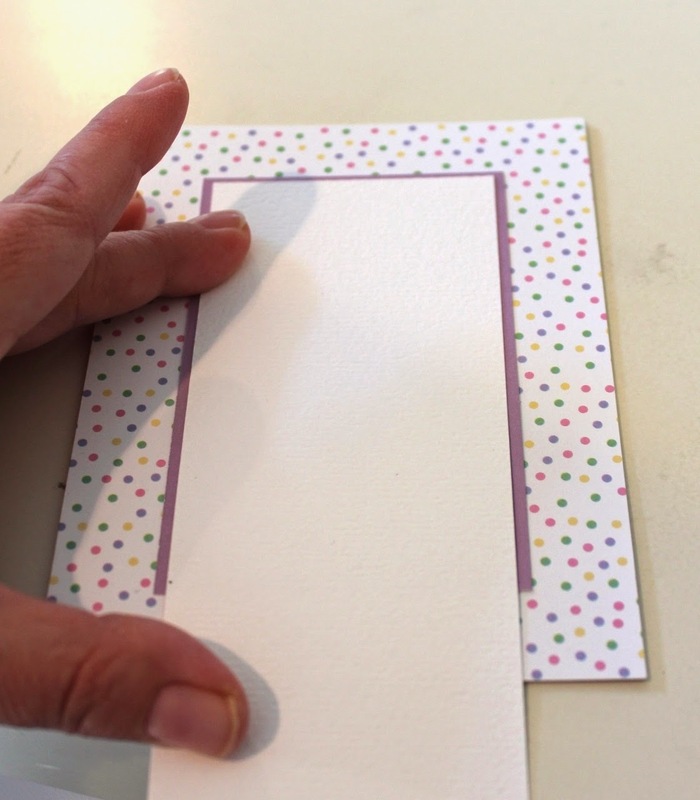 Making cards is a great way to use up supplies, like stickers, that don't quite meet our standards for layouts. 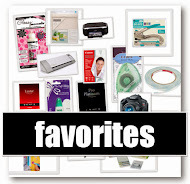 I challenge you to make something this weekend using old product and especially stickers. Link me to it! Happy Good Friday and Easter weekend. I'm looking forward to celebrating it! 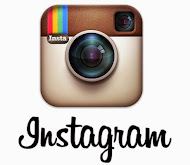 pinning that will direct you to this post! Well, I'll be danged. A Post-It note. Why has my crazy, linear, brain never thought of that? CUTE card! 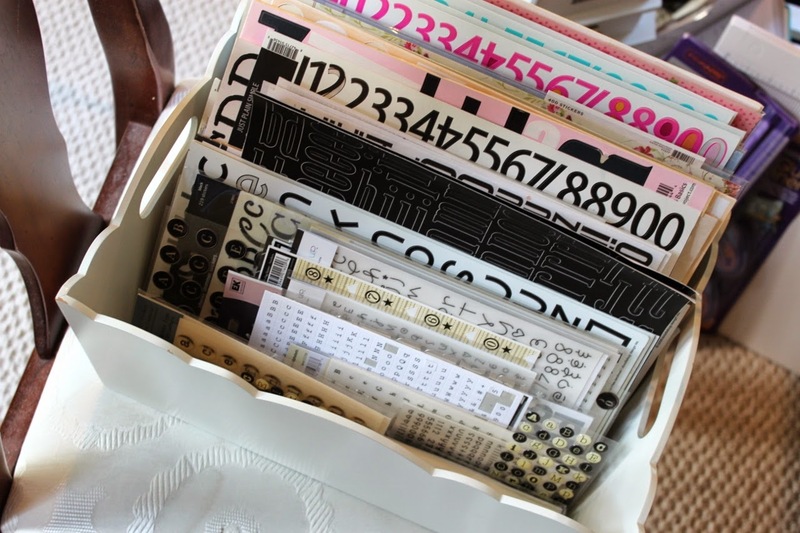 I still have those Doodlebug letters in black, and should probably finish using them instead of just looking at them in a nostalgic manner in my sticker binder. What a really sweet card, I love it. We are huge bunny lovers in this house and proud owners of the cutest little mini lop. I need those stickers for my daughter ASAP. Oh and I love the sticker tutorial, what an awesome idea. Caroline - I have an extra sheet I'll be happy to send you! 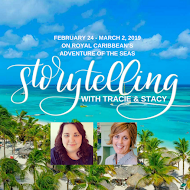 E-mail me your address to tracieclaiborne@hotmail.com! Super sweet! I love it. And only monsters don't like stickers!! Cute! I've never thought about the post it before. I put mine on the edge of a ruler and line them up that way. I'll have to try the post it. I buy stickers with the collection kits I buy but hardly use them. I'm going to challenge myself to do that more. 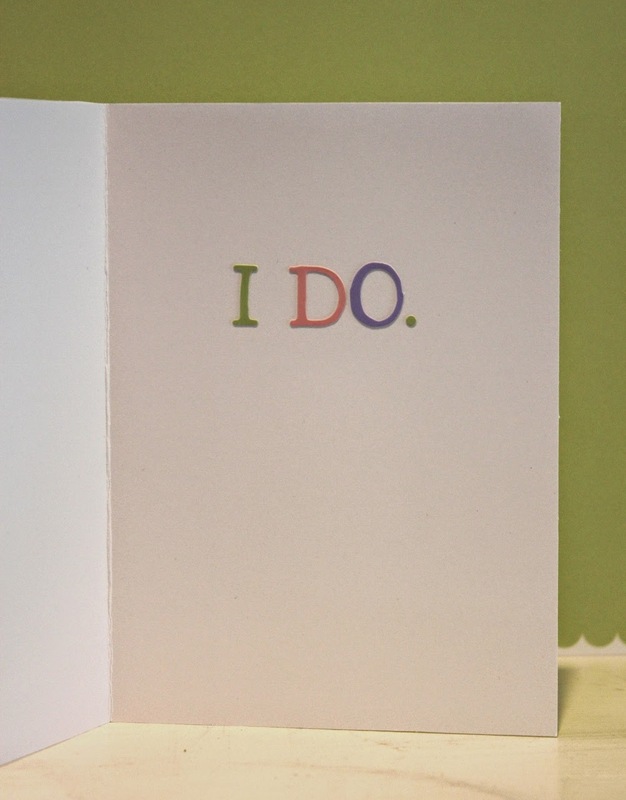 What an adorable card, and I love the post-it note trick. TFS! Super cute! Thanks for sharing your post it trick! Love the post-it note trick! A Post-it? Genius! The card is adorable. It's a good reminder to me that my letters don't all need to be the same color. I think the post-it idea is brilliant! It's one of those ideas that seems so simple once someone tells me, but I would never have thought of it by myself. Thank you and Happy Easter! !